Since 1918, Groco has been on cutting edge of product development and technology. 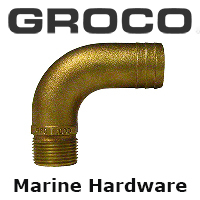 Today, as GROCO's 100th anniversary nears, they continue the tradition of innovative design and unsurpassed quality. In addition to GROCO's core products, they will introduce you to unique designs conceived and produced directly by GROCO, and offered by no other manufacturer in the world.